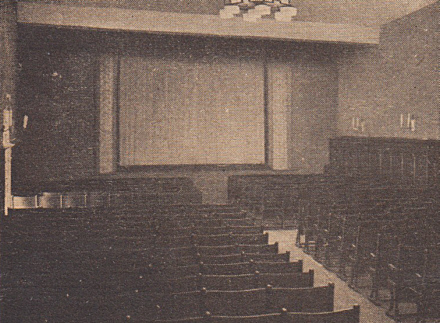 First cinema performances on the site in 1905. Since 1910, operated as a permanent cinema. Named in honour of the Salzburg-born composer, Wolfgang Amadeus Mozart (1756-1791). The cinema contains two halls (263 and 136 seats). 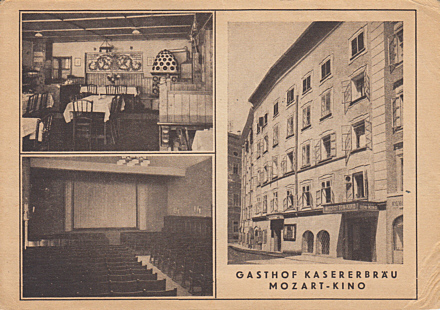 Front Text: "Gasthof Kasererbräu Mozart-Kino"
Reverse Text: "Gasthof Kasererbräu. Fremdenzimmer. Mozart-Kino. Salzburg. Kaigasse Nr. 33"